April is National Autism Month. 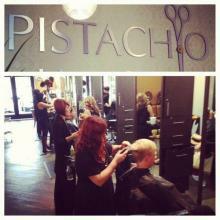 To help raise awareness, Pistachio will be hosting a Cut-a-Thon on Sunday, April 6th from 11am – 2pm. Come and join us for treats, raffles, special savings on origami owl jewelry, our latest boutique collection and more. So please be sure to get your haircut while supporting a good cause! A minimum donation of $25 is required for all haircut services and all proceeds will benefit the San Diego Autism Society. Appointments can be made by calling (760) 230-4880 and walk-ins are welcome! For more information please call Nori at (760) 230-4880.